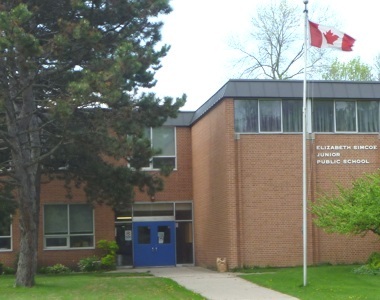 Elizabeth Simcoe Junior Public School is a dynamic school with a strong sense of community. Our academic calendar is filled with activities that enhance the experience of our students throughout the year. Join Us for the First Ever, Simcoe Fun Fair! Calling all lovers of fun! Elizabeth Simcoe School Council is excited to announce our very first Simcoe Fun Fair on Friday, May 24th from 5pm - 8pm. This will replace our annual Simcoe Social and Mini Auction. There will be bouncy castles, a tattoo station, a used book sale, a bake sale, silent auction, vendors and games, games, and more games! Money raised will go towards school activities and initiatives that will benefit all our kids and make Simcoe even better! In the past, our major year-end fundraising initiatives have raised money for our new playground, a library rejuvenation, and major technology enhancements for the school, including chrome books, iPads, and smart boards to name a few. In the coming weeks, we will be asking for parent volunteers, as well as a donation of items to help make this event a success. So check your inbox and your children's backpacks for more information and our call for help. The more help we have, the better the event we can put together! Let's share our school spirit with our community at large, and work together to build a better Simcoe!